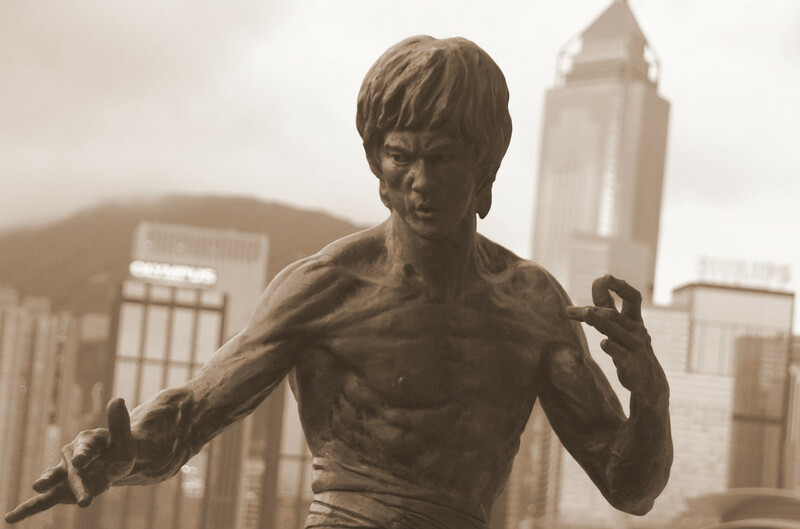 The Bruce Lee statue looms larger than life along the Avenue of Stars in Kowloon. 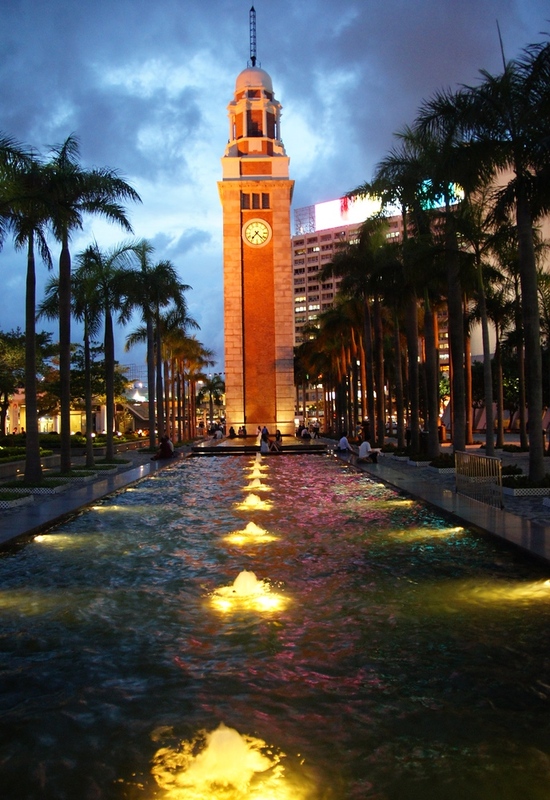 It’s by far the most iconic statue that is along this popular pedestrian strip where tourists and locals flock for great views of Hong Kong Island at any time of day. 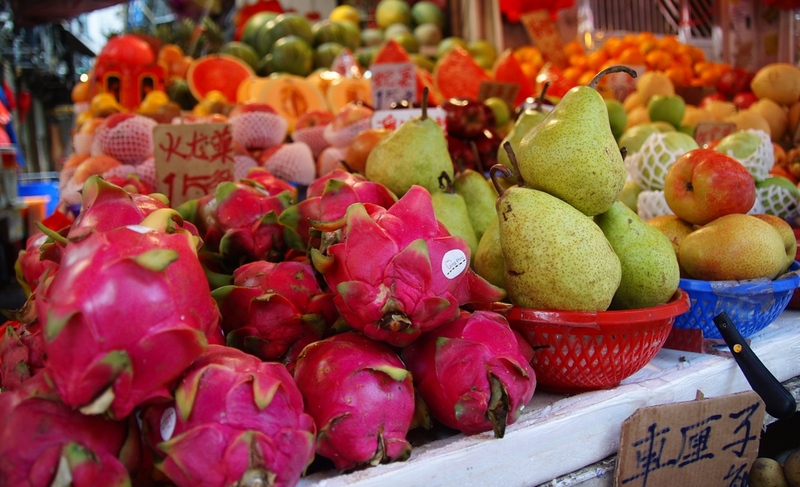 Part of the appeal of Hong Kong are the local markets scattered throughout the city. 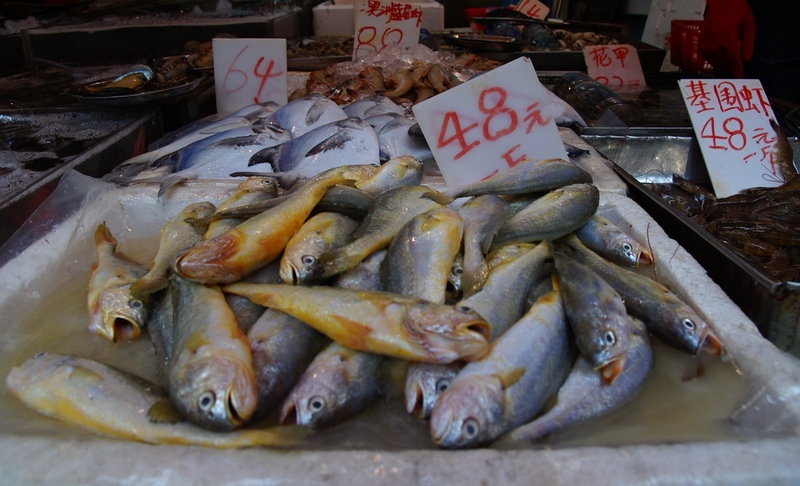 This particular market specialized in fish. Kowloon really offers gorgeous colours and views around sunset. I snapped this photo around sunset when most others were commuting home or going out for dinner. As a travel photography tip, getting up early and staying around a bit later (when others typically are eating dinner) are when you’re going to get the best light for taking photos. 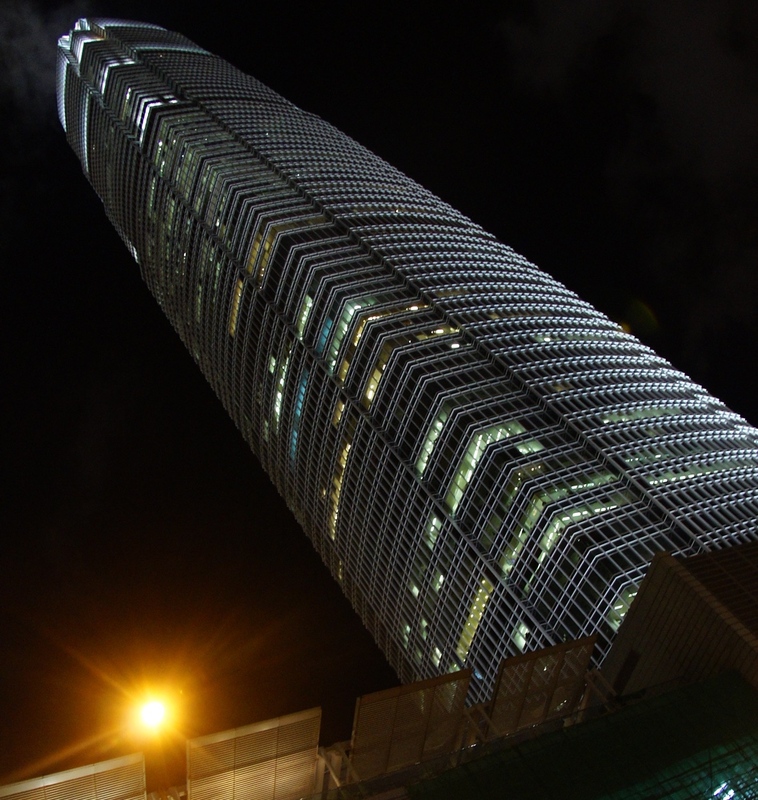 One can’t help but marvel at the stunning architecture that dominates the Hong Kong skyline. 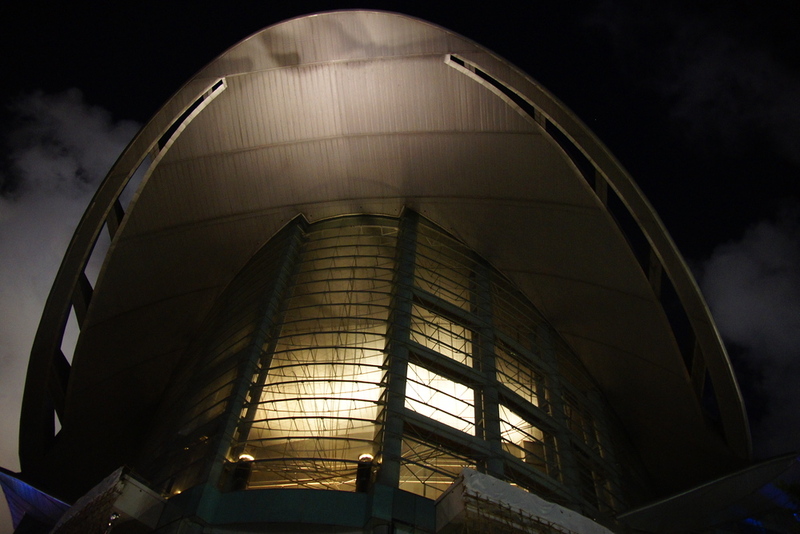 At night it truly shines as the buildings are illuminated. Where I stayed at in my hostel in Causeway Bay, I had easy walking access to this area. Had I stayed longer I would have wanted more privacy and personal space, there were some really cool apartments in Hong Kong and I heard that wimdu.com is great for short term rentals. As I mentioned previously, I’m a sucker for local markets and this photo is of some exotic fruits being sold on the street. 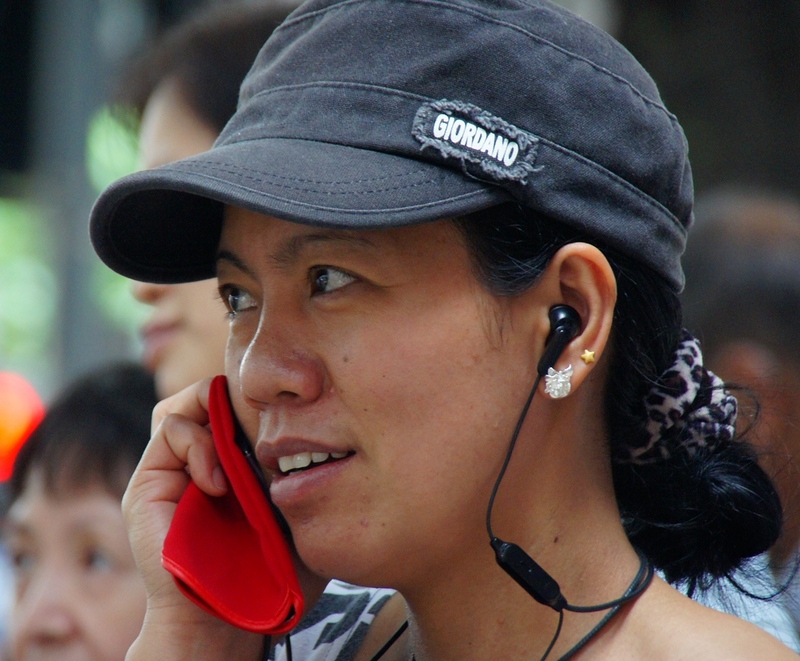 As a highly advanced technological society, the citizens of Hong Kong are often seen using the latest cutting edge cellphones. A photo essay of some candid portraits are a hallmark of my style of photography. 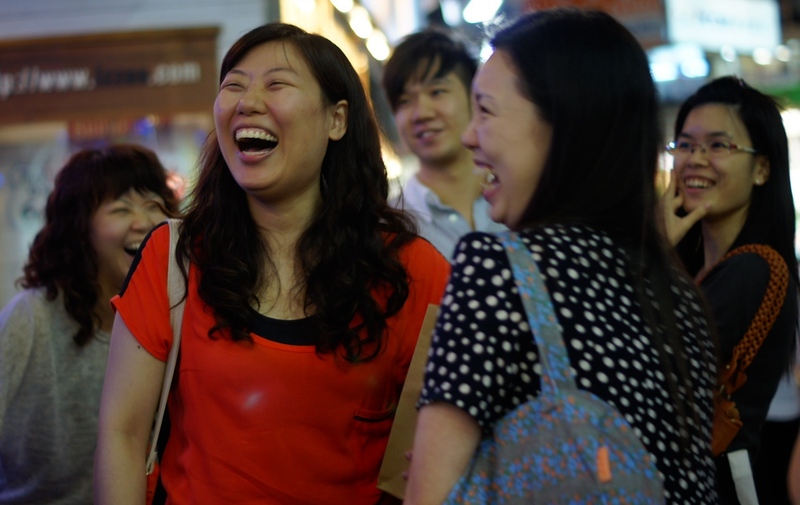 In this photo, a group of ladies laugh hysterically. I remember this scene like it was yesterday because it was nearby where I was staying that was located next to some great local apartments that I one day would enjoy basing myself. A group of teenage boys wait for a bus. Peering across from either Hong Kong Island or Kowloon one can notice the vessels of all sizes and shapes both day and night. This large vessel was passing during the afternoon. 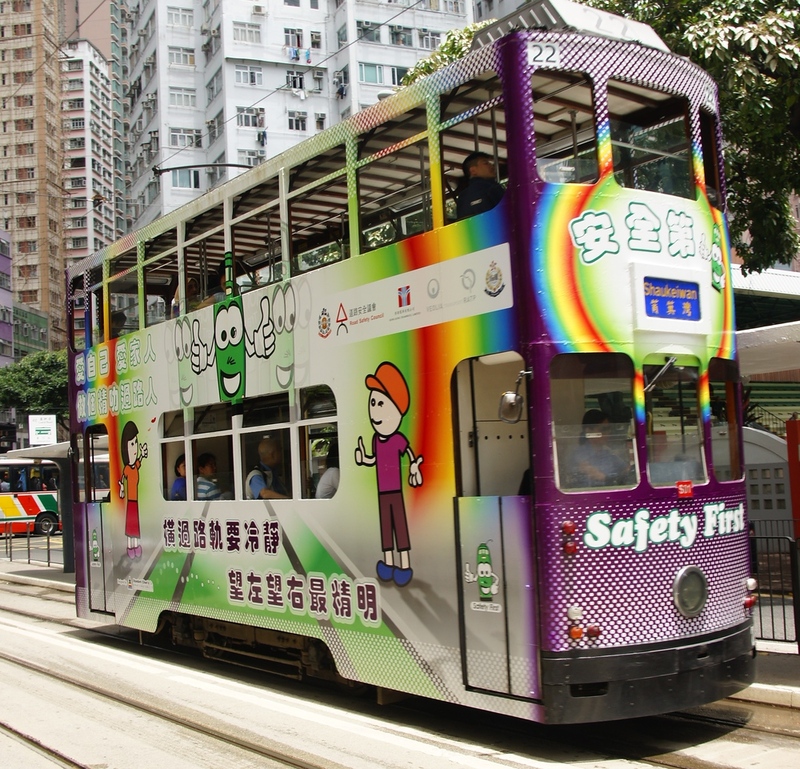 No trip to Hong Kong Island is complete without a venture on the extensive tram double decker tram network. It’s not only a fun and leisurely way to see the city but it’s also ridiculously affordable as well. 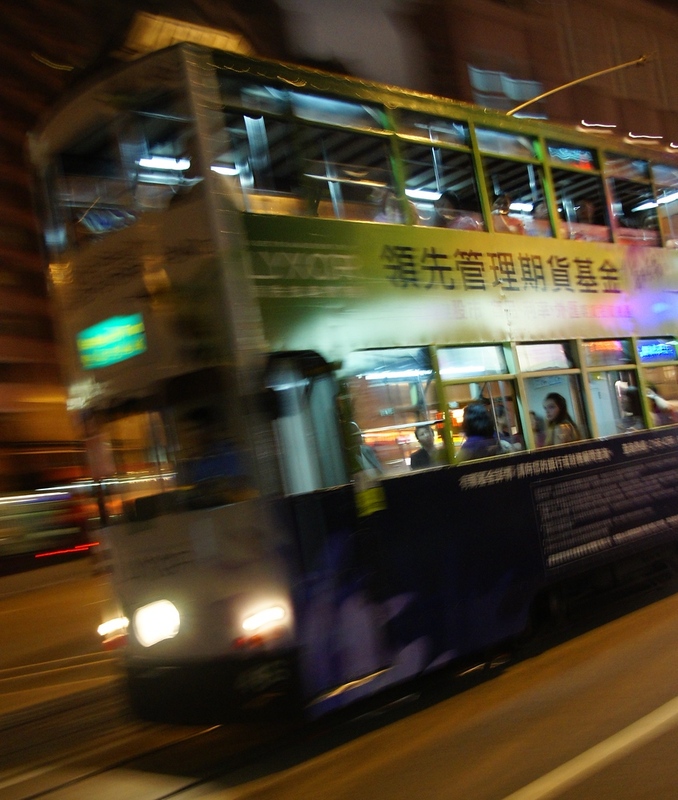 This is another shot of the tram at night with motion blur. Aside from the tram, taking a trip from Hong Kong Island to Kowloon on the Star Ferry is my second favourite journey. One has an opportunity to witness gorgeous views and it is (once again) a very budget savvy option. One can escape the hustle and bustle of the city in nearby parks. 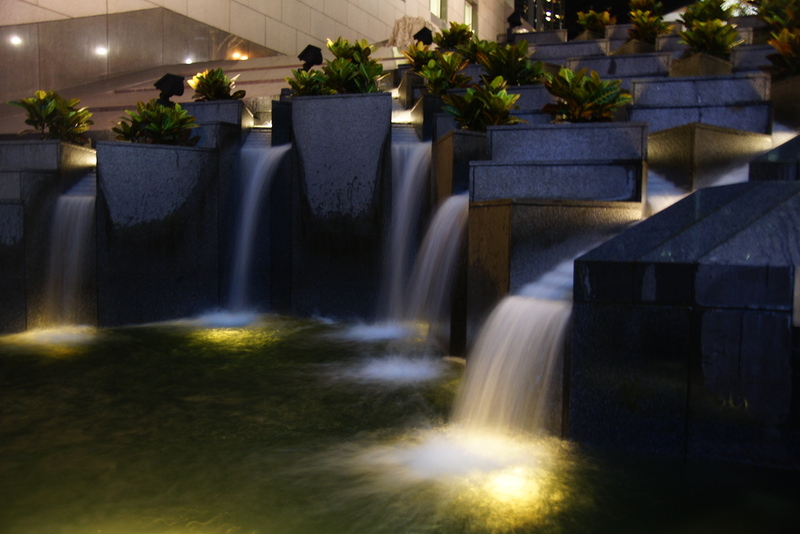 I remember snapping this photo of flowing water without noticing another person in the vicinity. The International Financial Centre Building looms large at any hour but truly lights up and is at its most imposing self at night. These pictures inspired me to, visit Hong Kong soon! A nice cross section of shots. HK is one of my favorite cities in Asia. I am overdue for a visit. Amazing pictures. One can never ignore how beautiful the city of Hong Kong is. Everything was so lively and entertaining. Thanks for the sharing those photos! Thanks Rhonda 🙂 I’d be glad to do that sometime. I’ve been to Hong Kong quite a few times, but I never saw Bruce Lee’s statue! I love going to the Giant Buddha on Lantau Island though, and love the trams too! Oh, that Giant Buddha is one of my favourites as well. It’s too bad I didn’t have time to visit the last time I was there. Lovely pictures – I particularly like the one of the exotic fruit. I’m yet to visit HK, but this post is whetting my appetite! Thanks Reena, I think you’ll enjoy it if you get the chance to go. Never really thought much about these places except for its food, but I guess there’s a lot more to see here as in your photos. Then again, I can’t forget the food. Oh, the food! Oh! Beautiful set of pics. I especially loved that bus shot. Its just amazing. Those photos are sweeeeeeeeeeeeeeeet! I kinda wanna go to Hong Kong now. Thanks Laurence! It’s a cool place to visit because no matter how many times you’ve been there is always something new to try or a familiar spot worth re-visiting. That’s great to hear you’ll be in HK soon Henry! I’m itching to get back there myself. 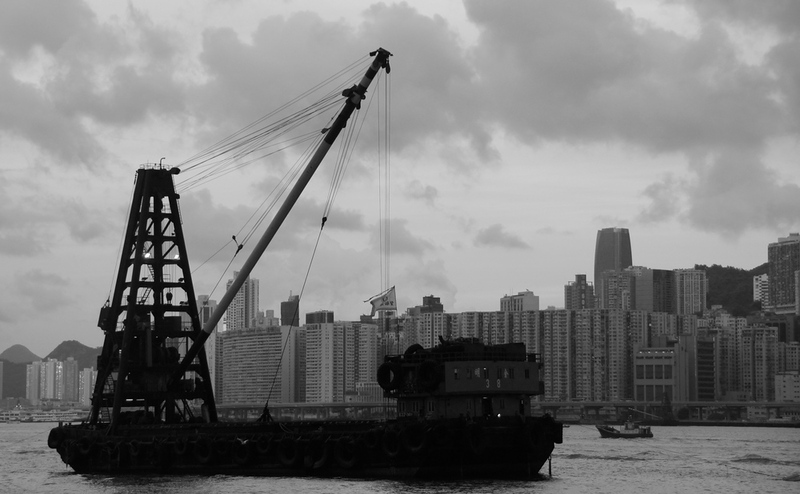 Great photos of Hong Kong, I’ve visited several times and love it! The colourful fruit shot is wonderful. Fabulous photo of the lights at night from the ferry! Lovely photos, very vivid images as usual! Awesome shots and well presented. I’m packing my bags; you’ve sold me on the place! That’s awesome to hear! I’d enjoy seeing your photos from there! Nice pics Sam, that tram has lots character, it seems to blend the old and the new. Awesome shots! I looooooove me some HK. 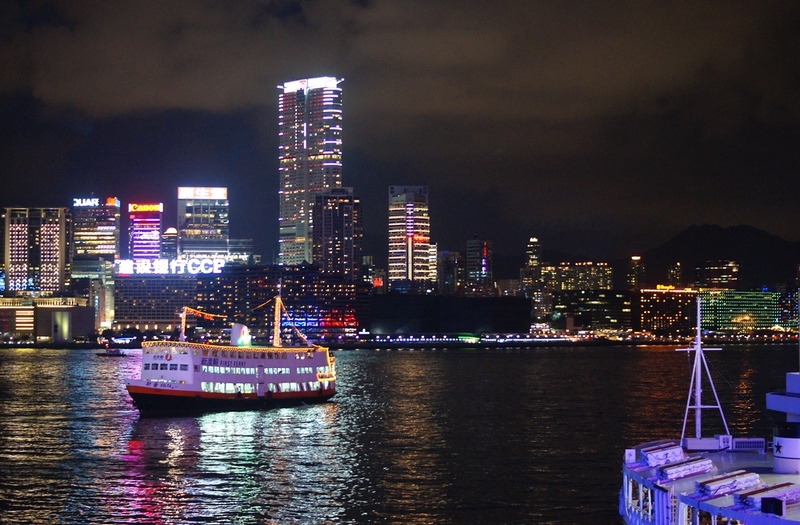 We’re not big fans of traveling to cities, but your photos certainly make Hong Kong look beautiful. LOVE that Bruce Lee statue! Thanks Bret, it really is an iconic statue. I love the Bruce Lee statue and I envy the guys using the latest in mobile tech. LOL, so do I. I’m always several years behind myself. Like Singapore, I’ve only ever used Hong Kong as a hub. I will have to take some time to go and look around next time. It seems like an interesting city. Thanks Dean, definitely would recommend that if you have the time! Awesome photos! There’s so much visual interest in all of them. What beautiful pictures, Sam! My favourite is the one with fruit – you did a great job of capturing the essence of my city. Thanks James! I would love to take you up on that. I haven’t explored enough of the New Territories outside of the city. I haven’t been in Hong Kong since they had the airport in the middle of the city and you could practically see what people had for breakfast in the high-rises as you flew past to land. Your photos remind me it was an incredibly interesting city, and very beautiful at night. That must have been an incredible experience flying through the city like that back then! What an inspiring selection of photos. I haven’t made it past the airport yet. Thanks Maria, they sure do have colourful buses and trams!